This evening I made Southwestern Style Grilled Chicken Sandwiches for dinner and served them with a side of my Oven Baked Zucchini Fries. It was a simple and deliciously easy meal. I cut up a large zucchini into thick rectangular sticks and dipped them in egg wash and rolled them in my breading mixture and baked them in a 425 degree oven for 25-30 minutes until browned and crisped. 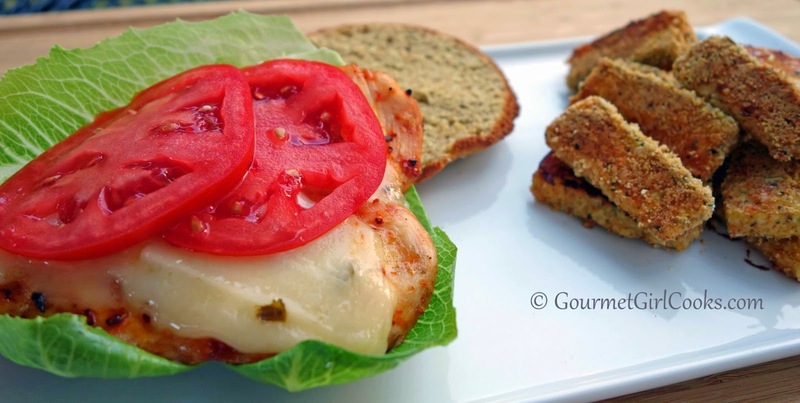 While my zucchini fries were baking, I prepared the grilled chicken sandwiches. I lightly sprayed chicken cutlets with olive oil and seasoned them with McCormick's Grill Mates Chipotle & Roasted Garlic Seasoning and then grilled them for a couple of minutes on each side. I turned the heat off on the grill and topped them with Cabot's Pepper Jack Cheese and let it melt a bit. 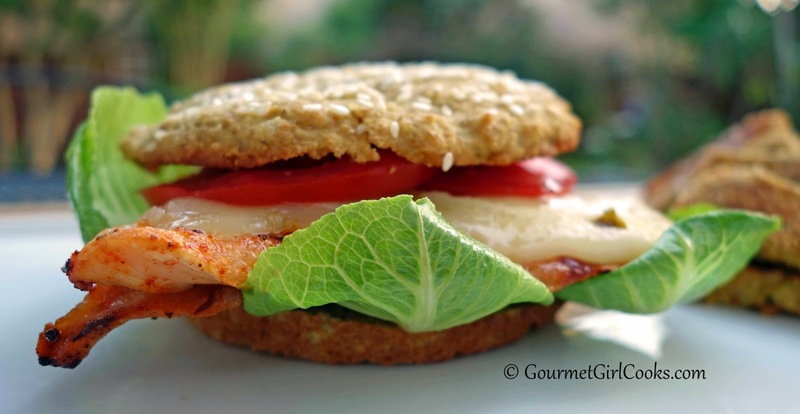 I served the grilled chicken topped with melted cheese on my grain free Sesame Seed Buns with lettuce and tomatoes. It was a delicious meal. I snapped a few quick photos below. Enjoy! In a medium bowl, beat eggs and olive oil; season with salt and pepper, to taste. In a shallow bowl, whisk together flax, almond flour, Parmesan, Italian seasoning, paprika, onion powder, garlic powder, sea salt, black pepper, and cayenne. Add zucchini sticks to the egg wash, about 1/3 at a time, tossing to coat well. 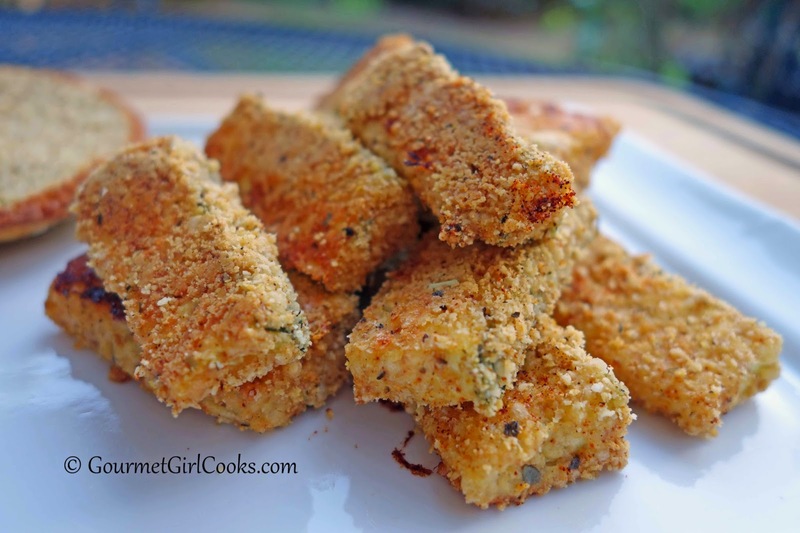 Roll moistened zucchini sticks a couple at a time in dry breading mixture until evenly coated; place on baking sheet. Bake for approximately 25-30 minutes, or until golden brown and crisp.